A bill that would revamp the Nebraska Tourism Commission received first-round approval March 28. 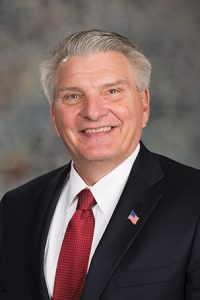 LB222, introduced by Gering Sen. John Stinner, would expand the commission’s membership from nine to 11 governor-appointed members. Four would be required to have professional, volunteer or public service experience related to the governance duties of the commission and seven would be affiliated with the tourism industry. Thirty days after passage, the bill would dissolve the current commission membership and create 11 districts based on geography and tax lodging revenues to ensure statewide representation. Members would serve four-year terms and be limited to two successive terms. The bill also would clarify grant guidelines, require the commission to adopt written policies governing expenditure of appropriated funds and stipulate that contracts awarded by the commission follow rules established by the state Department of Administrative Services. Stinner said the commission’s fiscal problems came to a head in 2016 when its director was fired for misuse of state-appropriated funds following a “scathing” state audit report. The commission has since begun taking steps to rectify those problems, he said, and the bill would help by diversifying the board and increasing professionalism. “LB222 is part of a long-standing effort to integrate oversight measures into the structure of the Nebraska Tourism Commission,” Stinner said. • recommended strategies to provide technical assistance, marketing services and state aid to local governments and the tourism industry in Nebraska. Sen. Robert Clements of Elmwood supported the bill, saying that statewide representation and the addition of members of the business community would improve the commission. “I see the tourism industry as a major industry in our state and we had a problem with this commission that needed attention,” Clements said. Bellevue Sen. Carol Blood offered an amendment that would have removed a mandate in existing law that the commission develop a statewide strategic plan and instead would allow the commission to review, amend or replace provisions of the strategic plan. The state has paid $109,000 for an existing strategic plan, she said, and should work within it to improve tourism in Nebraska. The only flaw in the existing plan is that the commission’s staff did not implement it, Blood said, adding that she was in support of the underlying bill. Sen. John Murante of Gretna opposed the amendment. Removing the existing strategic plan mandate also would make permissive all of the other mandates currently in state law relating to the commission, he said. The amendment failed on a vote of 10-20. The bill then advanced to select file 32-1.